His teacher signed the class up to an online financial literacy programme called Banqer, where kids explore income, expenses and budgeting, and learn about saving, interest, KiwiSaver, tax, real estate, and insurance. As a family, we’ve shared the highs and lows of Master 10’s property buying and selling, loss of income due to poor behaviour in the classroom and use of his earnings as sports shed monitor to buy a spot on the coveted classroom couch. The upshot is that his financial literacy is probably better than mine, and I’m not alone. In the most recent Standard and Poor’s Global Financial Literacy Survey, New Zealand ranked 11th in the world. Out of 148 countries, that’s not too bad – 61 per cent of us passed a financial literacy test, compared to 71 per cent of Scandinavians and 28 per cent of Chinese. But the Commission for Financial Capability (CFFC) surveyed 1000 recent or imminent school leavers earlier this year and found 35 per cent learned “almost nothing” about money at school. 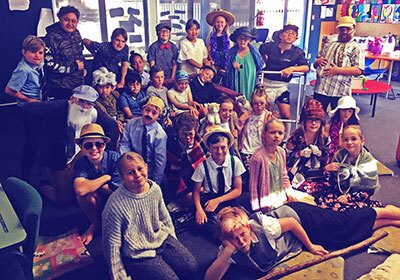 As a result, a nationwide trial of the first financial capability learning resources to be directly linked to the New Zealand Curriculum was launched this term. Over the next three years Sorted in Schools will be rolled out to all students from Years 9-13 with the aim of equipping students with skills in financial capability at an age when they’re vulnerable to falling into debt through access to credit and loans. And the temptation is great. You can buy most things on credit now. Banks are happy to lend you more money; credit card companies can’t wait to increase your borrowing limit. In South Auckland, the truck shops continue to prey on the vulnerable and financially illiterate. Let’s hope the government crackdown on loan sharks announced in October will help these communities facing the problem of high interest debt. It’s fair to say Kiwis have got a bit of a ‘she’ll be right’ attitude to money. One of the focuses of Money Week this year was insurance. New Zealand ranks 35th out of 45 countries on insurance spend at 2.5 per cent of GDP, compared to the OECD average of 8.4 per cent. Only 59 per cent of Kiwis aged 18-34 have car insurance and a 2016 Treasury report estimated 85 per cent of our houses are under-insured. A lesson we should have learned from after the 2011 Christchurch earthquake. We’re also passive participants in our preparation for retirement, with a recent CFFC survey showing 28 per cent of those enrolled in KiwiSaver don’t know what their fund type is, which could make the difference of tens of thousands of dollars across their working life. Perhaps of more concern is that 17 per cent don’t know how much they are contributing to Kiwisaver each pay day, and 12 per cent don’t know how much is in their accounts. If you fall into that category you might want to hit up your nearest 10-year-old. They might just be able to help. 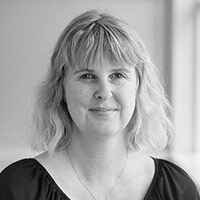 Kerry has more than 25 years’ experience in community and daily newspapers, specialty health and education publications, ‘mummy blogging’, freelance writing, and event planning and coordination. Fantastic Kerry. I wish I’d been taught about money making and saving, rather than Latin, French and German, which I use every day, not.